It’s officially summertime! Beating the heat by keeping yourself cool is the best way to get yourself through the sweltering summer temperatures that have you feeling like you’re melting. Keeping cool with the best fan in warm weather is more important than you might realize and can even prevent heat stroke. As such, we’ve looked at five fans and compared them against one another, so we can tell you what is the best model to keep your temperature down. We’ve also discussed some of the things you need to look for when buying a fan as well as answered some questions about fans. 1. How Does a Fan Work? 2. What Size Fan for Room? 3. What Is an Oscillating Fan? 4. How Do Tower Fans Work? 5. What Does an Ionizer Do on a Tower Fan? The Honeywell brand name is known all over the world and is just one of the reasons we wanted to include it in our review and comparison. 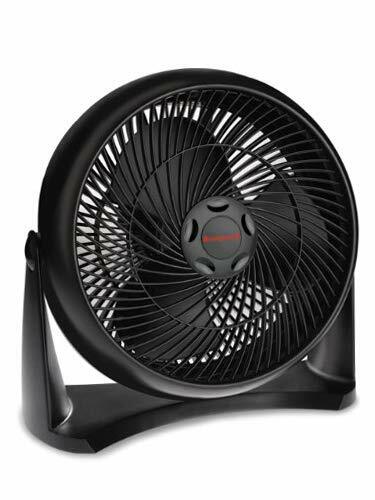 This top-selling fan caught our eye because of a variety of reasons, and we wanted to ensure that this model did justice to the Honeywell name before possibly recommending it. The powerful cooling feature that comes with the HT-908 is one of the greatest features and part of a well-designed mechanism. Working off with two systems, the first one rotates the fan’s blades and the second directs all airflow to the space that the fan is working in. With the Turbo Force power of this model, it can distribute cool air up to 32 feet away. It has a fan head that pivots in a 90-degree angle, and the newer model is almost entirely noiseless, while the new blades make it 30% quieter than the competition. Additionally, it helps save on energy, has a solid build that’s made of black plastic, and a ventilated grille. The size of the HT-908 is excellent because it makes it easy to move around, and we found that it could be drilled into the wall when you want to keep it in one place. It’s also incredibly quiet; when on the lowest setting, you can’t hear anything, and there is only a slight hum when on the highest turbo setting. We also like the color and the design. It’s sleek, and the black color lets it blend into the room regardless of wall or furniture color. Unfortunately, the fan only rotates to a 90-degree angle and would be more efficient if it turned 180 degrees. However, that is solved by simply moving the fan. While the rest of the fan has a sturdy build, we did notice a slight bend to the grille when applying pressure with fingertips. Also, the HT-908 isn’t as easy to clean as some other models that we tested. It does collect dust, and we weren’t able to find an easy way to take the fan apart to clean the blades. 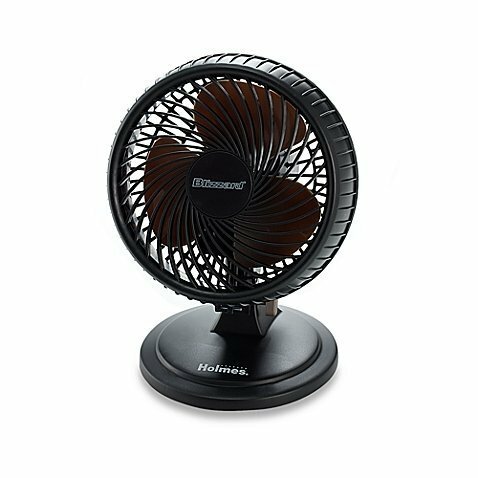 Pedestal fans are popular amongst the public who are looking to add air circulation to a specific room, and the Comfort Zone CZST161BTE fan makes it easy to keep yourself and the room cool while doing so at a decent cost. We looked at the sharp features and performance of this fan to see how it worked against other fans. The Comfort Zone CZST161BTE comes in a great white color that provides a sophisticated look to any room and is made of lightweight material. It has a pre-assembled and quick-folding base that makes it easy to assemble and disassemble. This unit also has an adjustable tilt and height feature that allows you to customize the airflow and experience. Additionally, the three powerful speed settings work to keep you cool at all times, and its quad-pod design is unique. Looking away from the price, which is one of the key selling points for us, we found that the Comfort Zone CZST161BTE circulated the air fantastically well, which is noted as a primary function. The fan is also very easy to move around, and the color blended well regardless of the rooms we moved it to, and it was effortless to put together. While we did like that this model is lightweight, we found that it was rather cheaply made and the base occasionally came off during movement. We also had issues with the rubber feet at the bottom. Also, for the first few days of use, there was a strange odor that came from the fan but went away after a couple of days. The airflow itself is strong for circulating, but the three speeds aren’t overly powerful for cooling. We started off this list with a Honeywell fan, so it’s no surprise that our third fan, but first tower fan is made by Honeywell too. We’ve looked at a tabletop and a pedestal fan so far, but how do the tower fans hold up when compared against them? There are plenty of highlights that the HYFO23W features that helped us decide to include it in our list. Let’s look at them. The Honeywell HYFO23W Comfort Control Tower Fan has no shortage of features. It has three speed and oscillation settings that allow for widespread room air circulation and cooling. The tower fan includes a LED screen that has electric control keys, and there is a shut-off timer that lets you shut the fan off automatically in four intervals, at two-hour increments. Also, the fan is lightweight and easy to move, has ergonomically designed control buttons, and assembly takes just five minutes or less. We noticed that when compared against other tower fans, the HYFO23W is very quiet, even quiet enough to run during sleep. The fan is relatively affordable and friendly on the wallet. The LED isn’t a bright, eye-sore red color and is located at the top of the fan. It moves the air very well, and because of its size, it’s a wonderful space saver. 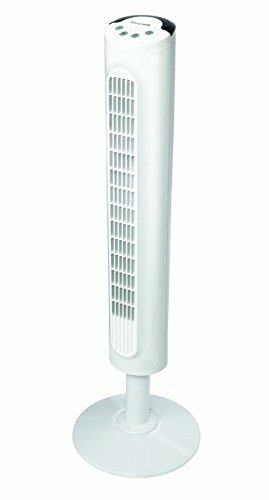 Initially, the classic, white color of the HYFO23W tower fan was something that we liked because it blended so well. Unfortunately, we found that because of the crisp white, it looked dusty and dirty quickly, especially in the living room and near the windows. One major flaw for us is the indicator beep at the end of the timer cycle. It’s very loud and distracting, which could easily wake someone up. The great thing about fans is that they come in so many shapes and sizes that you can have one just about anywhere. The Blizzard is a great display of that. The personal fan works to keep you cool just about anywhere, and while we already have a table fan on our list, there wasn’t a chance that we were going to leave this Amazon’s Choice out. A personal desk fan such as the Blizzard isn’t going to have as many highlights as some other fans, but this one tried to match up. It has a pivoting head and the ability to oscillate at 40 degrees, sending cold air in multiple directions. The breeze can stretch upwards to 10 feet, and it has two power settings. It uses a rotating knob to help you control the settings. The Lil’ Blizzard is very affordable and an excellent option for those looking to cool off a small space. We found that the power behind the fan was more than sufficient to keep us cooled off as long as we were between five and ten feet away from the fan. We also really like the pivoting and oscillating head, which is something we haven’t seen much of on personal desktop fans. It does give you the option of locking into place, which is another feature we enjoyed. Unfortunately, because the fan is so inexpensive, we found it was made from flimsy plastic. The grille didn’t bend when applying pressure against it, but if dropped, the frame would easily crack. Also, we found this fan to be quite loud, and possibly one of the loudest personal fans that we’ve heard. It could easily distract you from sleeping if using on a night table in your bedroom. The final fan on our list is one to be remembered. It’s an upgraded model of the original, and the specifications of the Hurricane Wall Mount Fan made it nearly impossible to ignore. Those who are looking for something a little more fun with some possibly over the top features are going to love it. The Hurricane Wall Mount Fan can oscillate in a figure-of-eight pattern for better air circulation. It also has standard, horizontal and vertical oscillation for more options. The timer is easy to set and has six-hour increments for a max of 24 hours. Also, it comes in three operating modes along with three-speed settings, and both of which can be controlled by the included remote control. Impressively, it contains an internal memory that prevents you from losing your settings if there is a power outage, and it has a metal gear construction that ensures heavy-duty, peak performance while staying quiet. Having so many settings available on a fan is something that we didn’t mind. It was cool to see that the internal memory held onto the presets of the fan when the power was cut off. Also, it circulates the air and provides the cooling that every fan should. The remote control doesn’t just control one Hurricane Wall Mount Fan but controls every Hurricane fan that we had in the area. This feature is highly beneficial, especially for those who mount them to the wall in garages and other workspaces. This fan has a lot of power behind it. The low setting on the Hurricane fan felt like a medium setting on other wall mount fans, and because of this, it could be too cold when you are close to it. The fan is also quite loud, and we found it difficult to sleep when running it in a closed space such as the bedroom. Purchasing an oscillating fan is more economical than running an air conditioner 24/7. Over the years, traditional fans have been upgraded with new features and technology that make them viable options to those looking to keep themselves and the room cool by circulating the air around them. We’ve created this guide to help you understand what to look for, so the next time you purchase a fan, you know that you’re getting exactly what you need. There are multiple types of fans available for purchase, and most have blades, housing units, power sources, and motors. The three most common types of fans are tower fans, freestanding floor fans, and desk or tabletop fans. While they all have the same function and are meant to keep you cool and circulate airflow, design, and features make them different. Tower fan: Consist of vertical housing units that cause the cooling to stretch along the majority of the tower’s height. Freestanding floor fan: These are traditional fans that have a classic blade and design that attaches to an upright pole. Desk or Tabletop fan: Typically, these fans have conventional blade designs, and they sit on desks and tabletops without taking up too much space. There is a vast amount of fans available on the market, but not all of them have the same type of blades installed in them. Under most circumstances, fan blades are constructed out of plastic or metal. The kind of blade that gets used is going to widely depend on the type of fan that you purchase, as is the size. Metal blades aren’t as conventional as they once were, and most fans have plastic blades now, but they are still used. The fan blades are going to be sized based on how big the fan is, and its secondary purpose. If you have a clip-on desk fan, the sizes of the blades are going to be smaller and broader than that of a freestanding or tabletop fan. The amount of cooling power that your fan needs should be based on how you plan on using the fan. Most fans measure their airflow in CFM (cubic feet per minute), and that measure makes it relatively easy to compare fans. Usually, the higher the CFM rating, the higher the fan’s ability to move the air through the room it’s being used in. Looking at the other side of power, it’s important to understand power consumption, especially for those who are looking to keep cooling cost to a minimum and save on energy. Depending on the type of fan that you purchase, the higher the CFM, the more power the fan is going to use. However, there are types of fans, such as bladeless fans, that are more expensive but are designed to save on the amount of energy that gets explicitly used. When looking for a new fan, it’s suggested that you purchase a fan that has the highest airflow per amp rating. Sales associates can usually help with that if it’s not indicated on the packaging or features. If you haven’t purchased a fan before, you might not know what oscillation means when it shows up on the features list. Oscillating fans can push cold air in multiple directions. The head of the fan turns from side to side, circulating the airflow throughout an entire room whereas stationary fan heads push the cool air along a singular path. Technology has advanced in a way that makes it possible to control your fan from a distance, and it’s a useful feature. Those who have difficulties with movement or who wish for more convenience can invest in a fan that has a remote control, giving them the ability to utilize every feature with the remote. Most remotes allow you to change the speed of the blade rotation or oscillation and turn it off and on. There are also many fans that come with timers installed, and the remote can typically control these. Depending on the fan, you can set the timer so that the fan lowers itself to half capacity for you to have a comfortable sleep. Timers also allow you to set the fan to turn off and on again, so even when you’re out, you know that the air in your home is well circulated and cool by the time you get back. Fans can work in different ways, depending on the type of fan that you have, but electric fans are amongst some of the simpler ones to understand. These fans run with help from a motor. 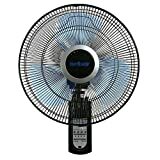 There is a hub that gets connected to either metallic or plastic blades that are built at an angle, and the size and shape of the blades also depend on the fan itself. The electric current that passes through a coil in the motor causes motion to the attached hub. The flow helps to push the blades, causing them to rotate and circulate the air in the room. The size of a fan for your room should be based on where it’s positioned, and the size of the room itself. If you are cooling a small area of space, typically, box fans, tabletop, and other portable fans are ideal for this purpose. Take note though that these fans aren’t always the quietest, so tower fans are also an excellent fan to circulate the air in a room. 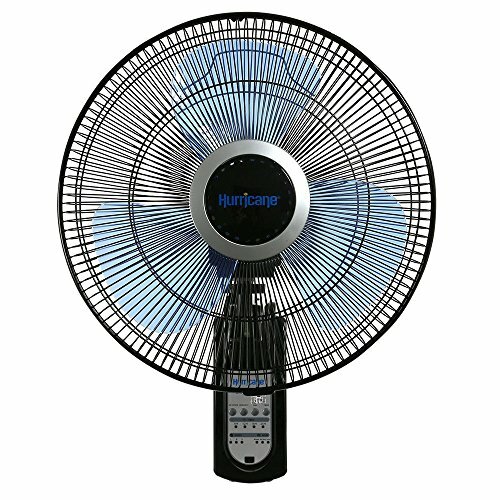 Oscillating fans are amongst some of the most popular fans available on the market. This type of fan has a mobile head on top of a stationary body that moves from side to side, circulating the air around the room instead of in one direction. Due to the way that oscillating fans are designed and constructed, they’ve been known to push out cooler air because of the way the air gets evenly distributed throughout the room. Aside from the rotating head of an oscillating fan, most people purchase it because of its ability to offer cooler air. Tower fans work like the majority of other fans, including oscillating ones. The height of tower fans helps provide a broader area with cold air distribution that’s usually pushed through at a 90-degree angle. Most tower fans also include features like an ionizer to prevent airborne dust and pollens. Outside of the slim and unique design, there isn’t much regarding operational differences between a tower fan and a standard portable, oscillating fan. They have a stationary base with a head that oscillates, and the power source helps spin the blades which push the cool air you need to keep yourself comfortable. Turning on the ionizer function of a tower fan helps to purify the air. Many tower fans have air filtration as part of their included features, and because of this, have an ionizer as a part of it. Dust, pollen, and other airborne particles are common in a home, especially during the warmer weather. When using an oscillating fan that is continuously circulating the air, those particles move with it. The ionizer feature helps capture airborne dust and pollen as it’s pulled into the tower fan so that it can push out clean air. 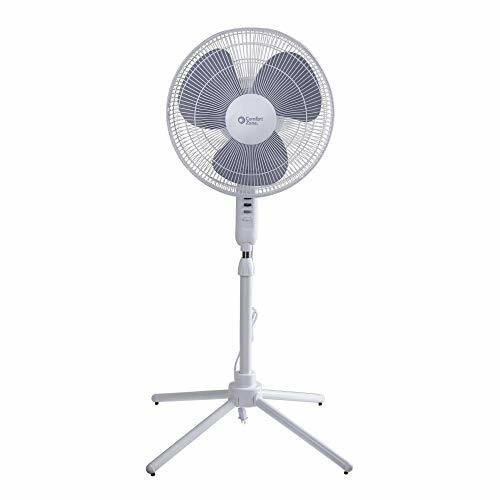 After much consideration and spending quite a bit of time testing out all of the fans on our list, we’ve decided what the best fan is, and we’ve also agreed that not every fan is going to be perfect. Personal preference and need play a huge role in selecting a suitable fan for you, but we hope with our help, you can find what you’re looking for. The Honeywell HYF023W Comfort Control Tower Fan is without a doubt, our best choice. The lightweight and space-saving design make it portable, the LED is easy on the eyes, and the controls are ergonomic and electronic. It also has three speeds and oscillates as well as includes an auto-off timer. The only thing that seems to be missing out on is a remote control, but now that it’s summer, everyone needs a reason to get up and hang by the fan to cool off.